But first, a bit of sunny news. In the matter of irate binge-watchers versus Finn Jones' obnoxious cluelessness and naiveté as Danny Rand/The Immortal Iron Fist, we find the former Ser Loras Tyrell in Marvel's The Defenders NOT GUILTY of the sins he had committed in his much-maligned solo series debut. He is arguably the weakest link in the fearsome foursome patroling the mean streets of New York. But with a little help from his newfound friends, Danny finishes out the show as the purpose-driven hero comic book and casual TV fans expect him to be. Except, that won't happen until much later in this breezy yet unevenly paced eight-part series. Which means, you'll still have to go through infuriating stretches where Mr. Rand will insist on tellling everyone within spitting distance that he's the Immortal Iron Fist—and that, to him, comes with the preordained privilege to act all high and mighty any chance he gets. 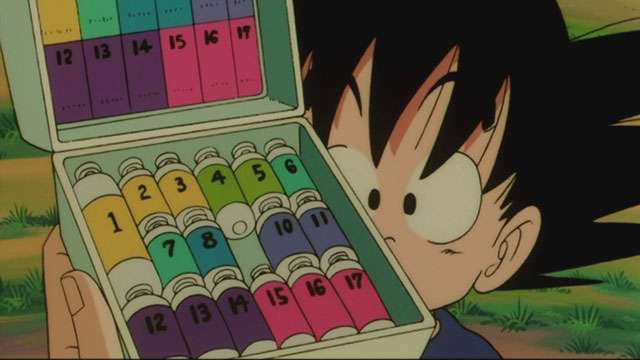 See, good ol' Danny can't still keep his chi-powered self from conking out at inopportunes times. But be a little patient with him. Have coffee and relax a bit, if you must. Trust us, he'll come around. Hard as it is to imagine, you'll find that he's capable of becoming far more relatable and special than a hero-jerk with a bloated sense of id. 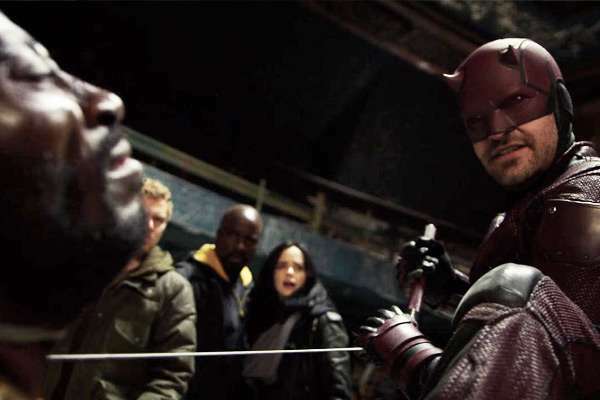 Think of him—and Luke Cage (Mike Colter), Daredevil (Charlie Cox), and Jessica Jones (Krysten Ritter) for that matter—as superhero tropes made flesh. They are angsty, disagreeable, sarcastic, temperamental at first, sure, but that's just them doing temporary trope duty. They'll be off the gig in no time, gel eventually, and radiate all that team-up vibe we've all come to love. After all, this quartet's comic-book friendship goes way back. 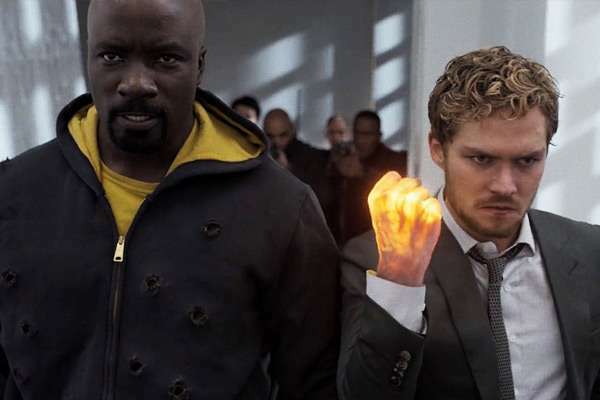 Danny Rand and Luke Cage are lifelong best buds. Jessica Jones and Luke are married or separated (with a baby), depending on which comic book series you're reading. When Matt Murdoch was imprisoned many story arcs ago, Danny stalked Hell's Kitchen as Daredevil to keep the incarcerated baddies with whom his blind superhero pal most likely showered in the can every day from killing @therealDevilofHK. That bond blossoms here as the four ramp up their cred as street-level heroes engaged in a battle that not only brings all of them together, but also all the characters they've crossed, maimed, rescued, and slept with at one point in that gritty universe of theirs. Classic Marvel crooks, The Hand and its Elektra-captained cabal of undead ninjas, finally take centerstage as the big bad looking to solidify their reign of terror in New York and other realms. Leading this immortal pack of evildoers is the elegant though underwhelming Alexandria Reid (Sigourney Weaver), whose supply of immortality juice has dried up after she used her remaining stash to resurrect Elodie Young's Elektra and reprogram her into becoming the gang's lethal secret weapon. To replenish what she's lost, Alexandria needs the Iron Fist, the sworn protector of K'un-Lun, that mysterious hood of powerful monks Danny keeps harping about. If you're still missing Game of Thrones for some reason, The Defenders has samplings of dragons (skeletal), a wall that doubles as a "Hodor!" (impregnable), and, well, a "Danny" it can call its own (blonde, sometimes bland) to fleetingly quell your longing somehow. Investigating individual concerns that seem unrelated at first, our heroes bump into each other at the corporate HQ of the always impeccably dressed bigwigs of The Hand. This chance encounter sets up that familiar hallway meet-cute, a trademark Marvel Netflix constant that has grown somewhat ho-hum and uneventful of late. And, just so we're clear, we're not blaming Finn for that. Anyway, it's obvious in the way those close quarter combat scenes were choreographed and executed that the series stunt bosses and crew have rediscovered violence's mesmerizing pull. 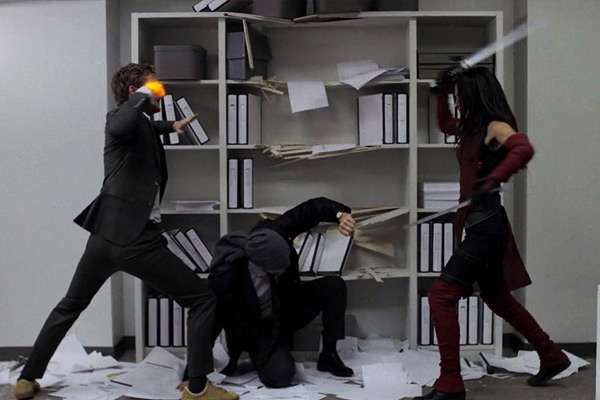 Daredevil, Iron Fist, and Elektra dazzle as they elude, kick, punch, and slash their foes and each other like they're John Wick in the club head-shooting henchmen for having poor taste in EDM. Super-strength-endowed Luke Cage and Jessica Jones, meanwhile, deliver their own understated brand of pain with the bone-snapping efficiency and all-in-the-day's-work chill that have become their specialty. In a series riddled with clunky and flat lines, a few punchy, snarky, and Easter Egg-filled retorts and visual gags either land or bomb, depending on who's hugging the limellight and who has had it with Danny's unending mystical malarkey or Matt's horn-y fashion sense. From the get-go, the smoldering Krysten Ritten is all-business as brooding, edgy, and day-drinking Jessica Jones, spewing acidic burns and putdowns that go perfectly well with her jet black-haired goddess appeal and ego-melting stare. 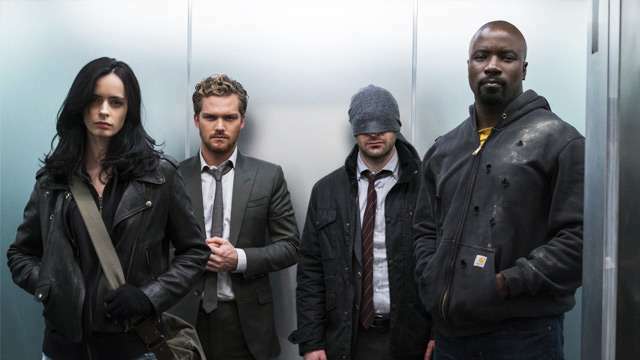 Perhaps, by virtue of seniority, sprightly Charlie Cox does the lead-by-example bit a great service as The Defenders pivots to him taking on the cudgels as the show's emotional center and the group's reluctant top dog. His commitment, love, and sacrifice, no doubt, will reconfigure his pals and their posse's sense of heroism as they momentarily go their separate ways to protect their respective turfs. 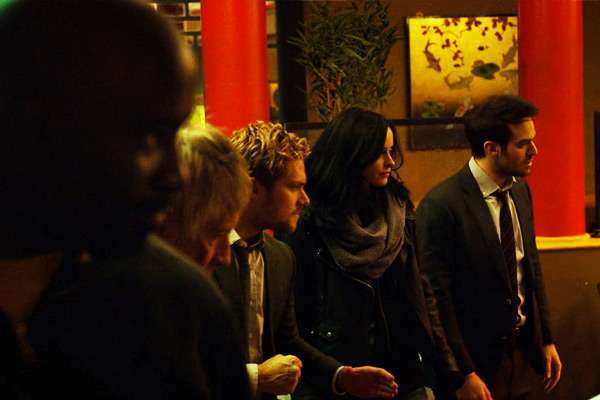 Hopefully, by the time season 2 rolls along, they'll have a genuinely pleasant time exchanging war stories over countless orders of Chinese dimsum delights, all paid for by billionaire Danny Rand. And, if they can handle it, maybe have a go at a serving of shawarma or two with that other mighty squad they've been unfairly compared with next.